Micahel Caldwell is a two-time Collegiate All American (4th Twice) at Lindenwood University, three-time High School Folkstyle State Qualifier and multiple-time State Placer in Greco Roman and Freestyle Wrestling. He currently studies Brazillian JiuJitsu. Michael Palladino is a BJJ blackbelt and owner of Evolution Grappling Academy, who first began training in 2007. His love for grappling came from a love of Pro Wrestling and personal exposure to Judo by his father, who was a Judo Brown belt. Michael is a 2x IBJJF No Gi Pan Am Bronze Medalist. Michael’s love of history, reading, and writing has feuled his knowledge of martial arts. Fun Fact: Michael met his wife at his first BJJ Class in ’07! Stephan Goyne started grappling in 1998 and has been training and competing regularly since then. Stephan began training Judo & Japanese Jiu Jitsu in 1996 and BJJ in 1998, in Santa Cruz, California. He was awarded his BJJ black belt by Eduardo Rocha after winning numerous brown belt titles including 2010 IBJJF Houston International, 2009 California Classic, 2009 NAGA East Coast, 2010 Copa Pacifica, 2009 IBJJF American Nationals and the 2009 American Cup. Stephan is the owner of Bay Jiu-Jitsu in, a chain of 3 gyms in San Francisco. 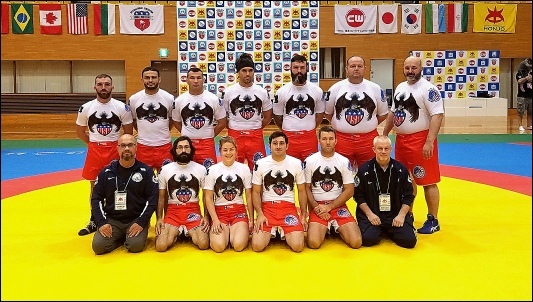 He won Silver at the 2016 USA Combat Wrestling National Championships, securing himself a spot on the Master’s World Team and later a World Championship at the masters 74 kg division Budapest, Hungary. He is the owner of Bay Jiu-Jitsu in the San Francisco Bay Area. 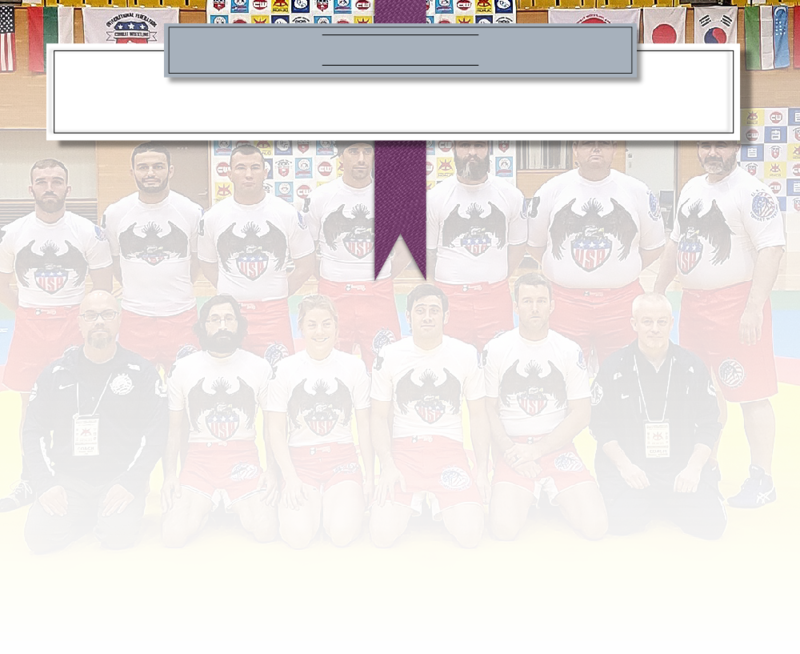 Nico is a 2 time USA Combat Wrestling National Champion and defending World Champion at 90kg. Wrestling since the age of 12, Niko became an Oklahoma junior high school and high school state champion. During his collegiate career at Bacone College, Niko was the first All-American in the college’s history, a 3x First Team All-American wrestler and 2x national finalist. Team captain for four years, Niko was awarded “Most Valuable Wrestler,” “Wrestler of The Year,” and a “Champions of Character Award.” After completing his triple major bachelor’s degree, Niko became a Graduate Assistant Wrestling Coach at Missouri Valley College where he assisted in coaching several All-Americans and helped the Vikings finish in the top 4. Not long after finishing up his Masters in Business, he found himself training Muay Thai, boxing, Brazilian Jiu Jitsu and Catch Wrestling in preparation for an MMA career that culminated with a combined amateur and professional record of 9-0. During the past 7 years, Niko has won numerous BJJ and submission grappling tournaments at the expert or black belt level. He is currently lead wrestling and MMA Coach at Championship MMA in Fort Smith, AR. Matthew Paul is a professional fighter and jiujitsu competitor out of 10th planet Chicago. He previously held an amateur record of 15-1 and held championship belts at 185lb and 205lb. As a professional Matthew is currently 2-2, having fought on high level shows such as Bellator and XFO. As a jiujitsu competitor he holds a purple belt under Josh Passini (10th planet brown belt under Eddie Bravo), but has competed at the black and brown belt level for some time. 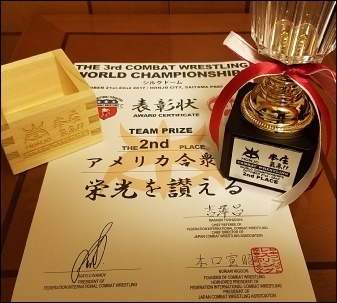 At Gracie Worlds he has won 205lb blue belt division in 2014, 205lb and heavyweight both gi and no gi purple belt divisions, and 2nd place heavyweight brown belt nationals, among other high level competitions. Steven Yokay has wrestled since the age of 5 years, and all through high school. After serving the the U.S. Army and graduating college he began training Judo. Since that time he has cross training and competed in jiu jitsu, catch wrestling, combat wrestling and sambo. Steven has been an active competitor for the past 10 years. Some of his biggest victories include a Pan Am championship in Combat Sambo, an IBJJF Pan No Gi Championship, a King of Catch light heavyweight championship and a National championship in sport sambo. David Grayson is a 2 time (2002 & 2003) Collegiate All American Wrestler (Bacone College), 3 time IBJJF No Gi Master World Champion (Blue Belt 2009, Purple Belt 2012, Brown Belt 2015), IBJJF No Gi Master Pan Champion (Brown Belt 2015), IBJJF No Gi Master National Champion (Brown Belt 2016), ADCC National Champion (Adult and Masters 2016), Black Belt in Judo (Pat Burris) USA Stars Oklahoma, Black Belt in Brazilian Jiu Jitsu (Roli Delgado) West Side MMA Arkansas. David was inducted into the Bacone College Athletic Hall of Fame in 2016.